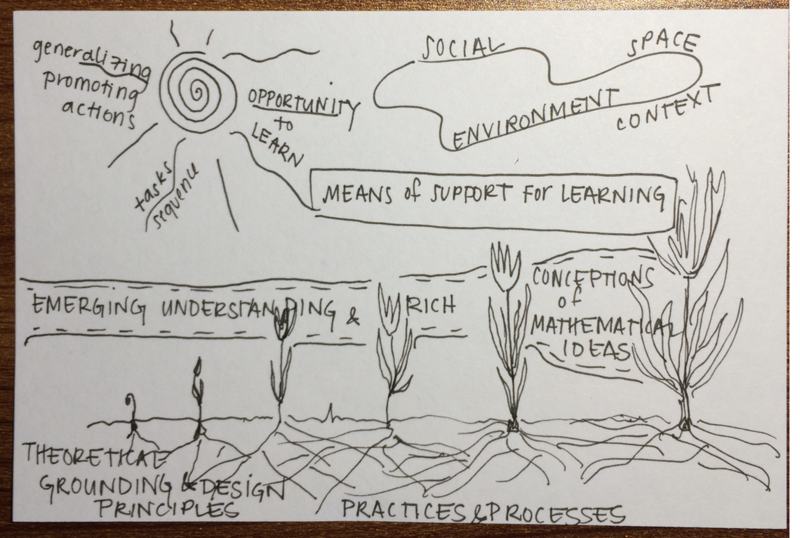 Why Sketchnotes? 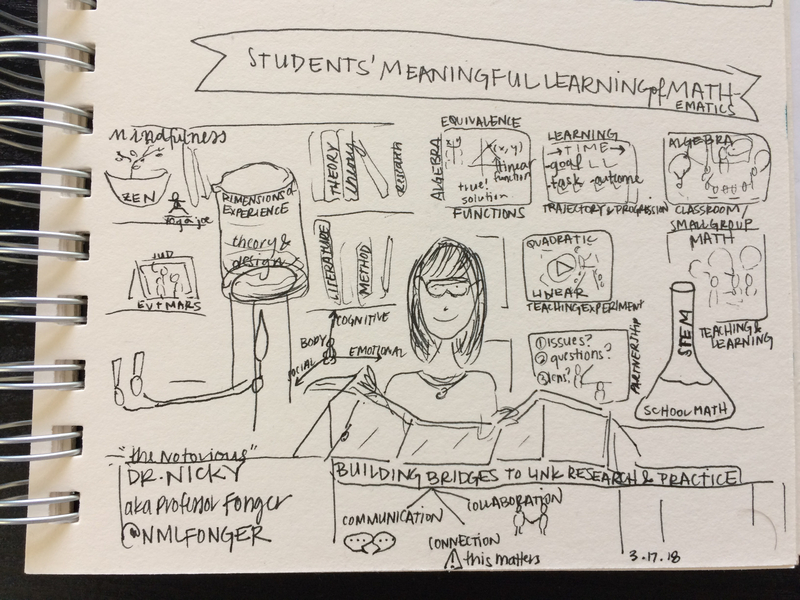 Sketchnotes may improve access to tools, ideas, and resources in visual-verbal means that support engagement. 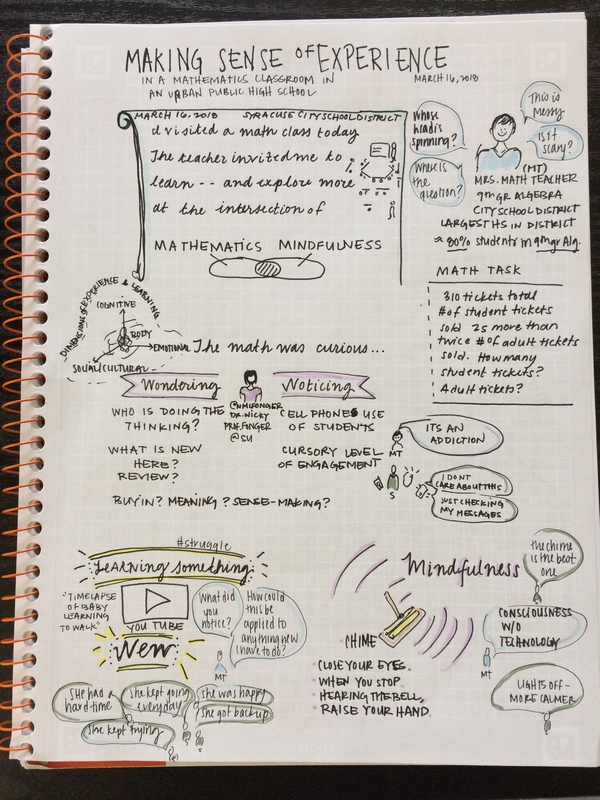 This 2 minute video elaborates the relevance of sketchnotes for linking research and practice in mathematics education. How to sketchnote? 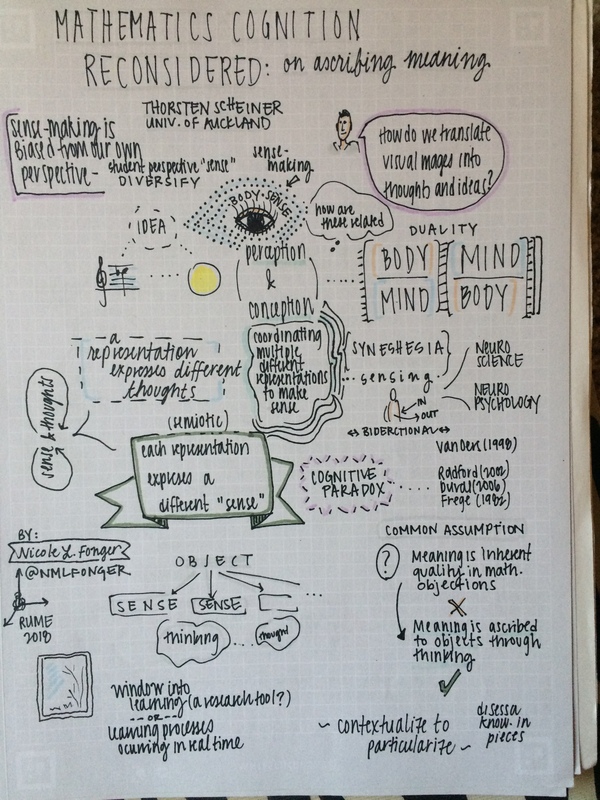 Interested in creating visuals of research and practice? 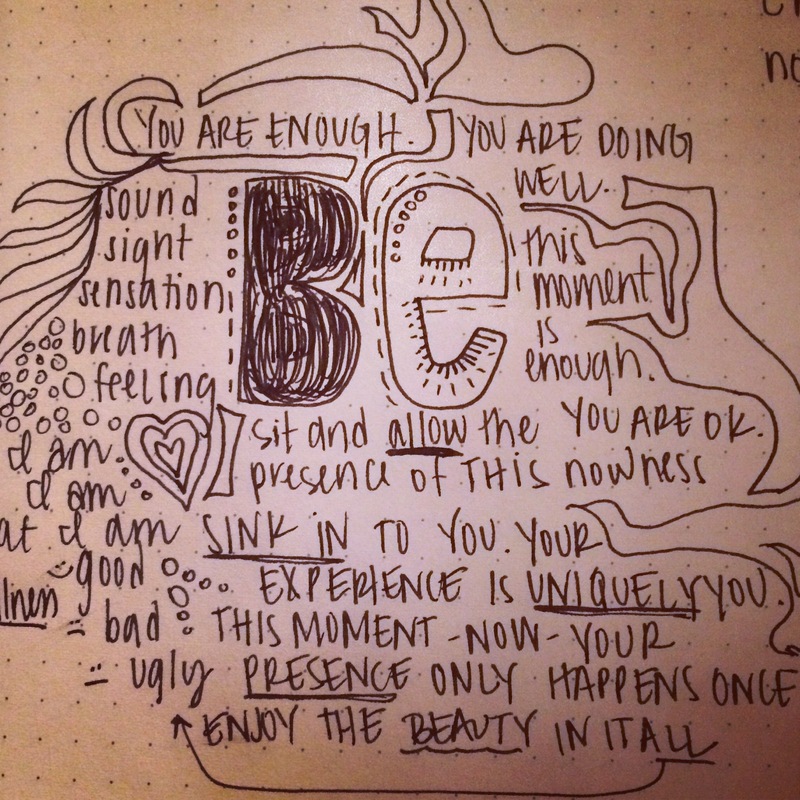 Check out this post on Sketchnotes 101 for how to get started! 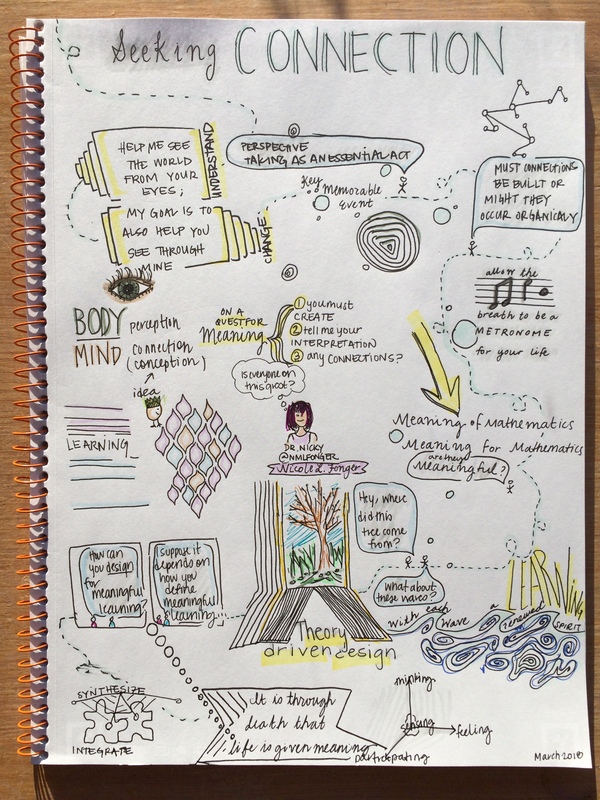 Sketchnotes are a form of creative scholarship. 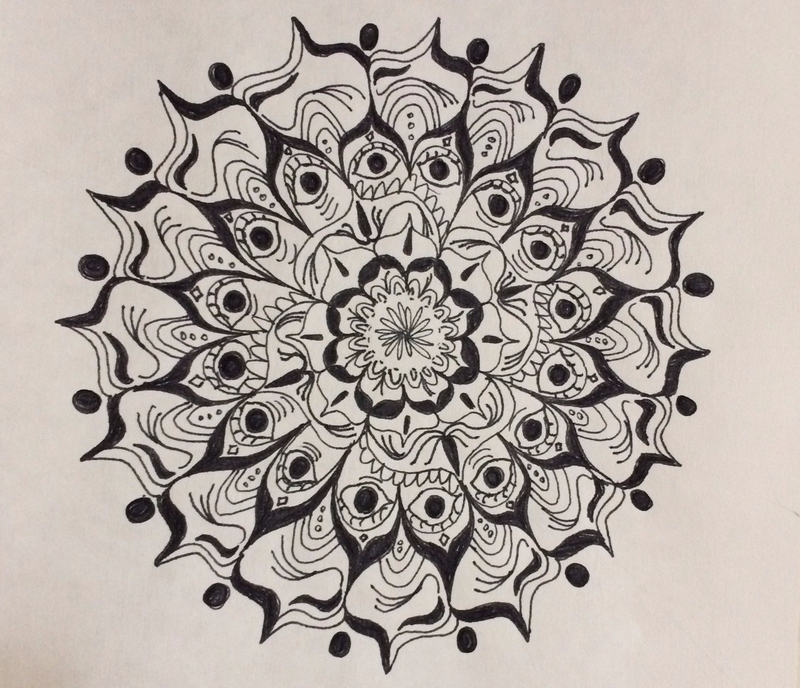 See more at Linking Research and Practice and Can you Draw it? Sketchnotes 101. Sketching to Learn. 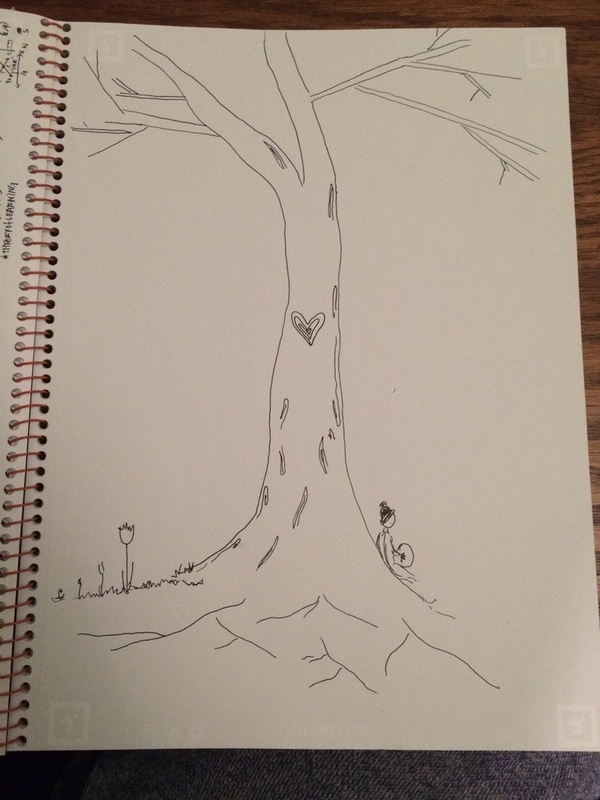 I’ve recently been inspired to create sketchnotes whenever possible. They offer a creative and expressive outlet that words alone cannot capture. 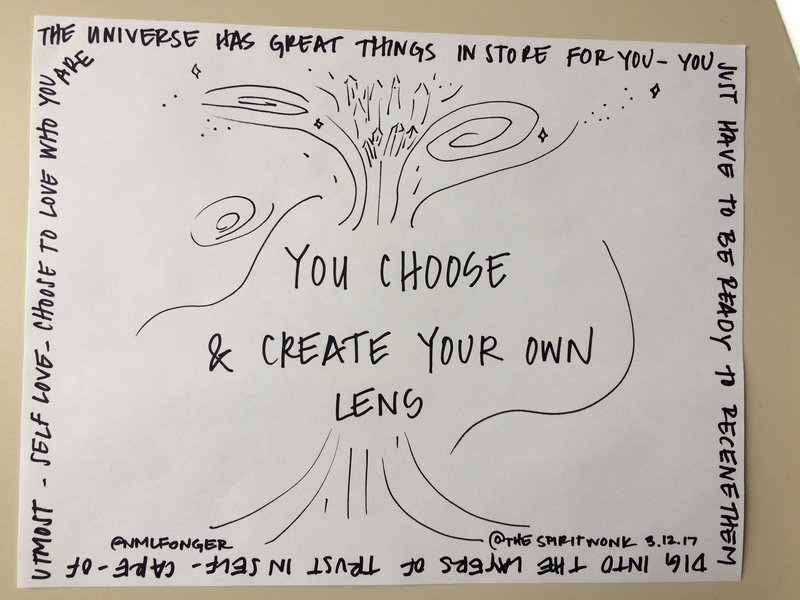 I create them as a way to focus, a form of moving meditation while observing, reading, listening, watching, and making sense of ideas. I hope you enjoy viewing them as much as I enjoyed creating them. 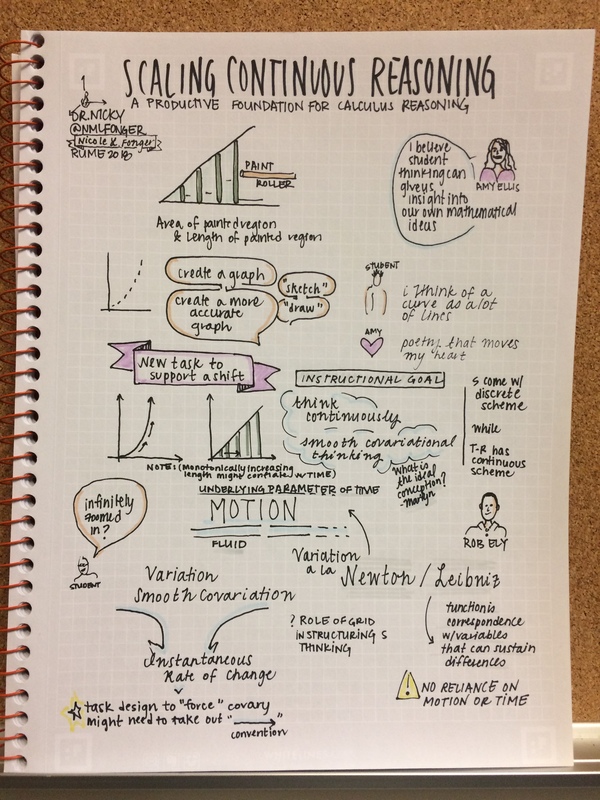 Here is a sample collection of Sketchnotes I created to capture themes expressed in a recent conference (PME-NA 40, November 2018). They focus on student experience, equity in mathematics education, the nature of mathematics, and student identity. Sketching Supports Writing. 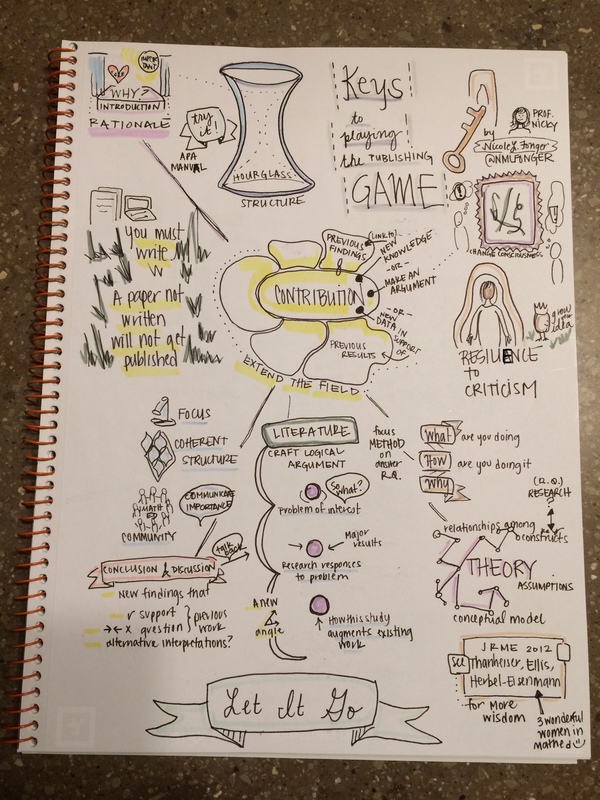 In one recent post I explored Keys to Playing the Publishing Game. This piece helped ground and orient my thinking on revising a manuscript.